An anointed radicalized trailblazer, a revolutionary force of ecclesiastic and social change, an Ambassador of our Lord and King’s One Universal Kingdom, The Church Universal. He is Metropolitan of the 3rd Provincial Metropolis of the autocephalous Holy Communion Of Churches “HCOC”, and Coadjutor to the Patriarch Archbishop, ††Timothy Paul of the HCOC, he was consecrated with unbroken lines of Apostolic Succession (by the HCOC) traceable directly to the historical ancient faith church founded by Jesus Christ and His Holy Apostles, he possesses a provocative apostolic mantle on his life, and is a humbled man of vision, and with power. A child after God’s own heart he is the blessed son of his beloved parents, the late Patriarch Father Abraham, and Matriarch Mother Elaine Logan. He is well known for his many business accomplishments, entrepreneurial endeavors, and social activism. He was raised in Hampton, Virginia. His water baptism as a child was at the Hope Chapel A.M.E. Zion Church in Utica, New York. 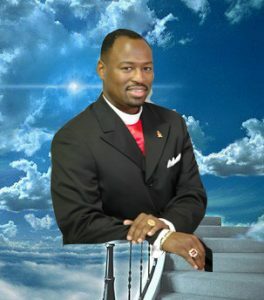 His spiritual growth was nurtured under the leadership of Rev. Dr. E. M. Wilson at the Greater Walters A.M.E. Zion Church in Newport News, Virginia. In March of 1990, Joshua was baptized in the Name of Jesus Christ and filled with the Holy Spirit evidenced by the speaking in other tongues at the True Believers Glorious Pentecostal Church under the pastorate of now Apostle, Ernest Quick Jr. In 1991, Joshua became Minister Logan under the leadership of now Bishop Dennis Jefferson (Pastor of the P.E.C. – P.A.W.). Minister Logan served as the Youth President and Pastoral Armor Bearer to Bishop Jefferson in Palmer Park, Maryland until 1995 when he was ordained as an Elder in the World Assemblies of Restoration where His Excellency, Bishop James D. Nelson Sr. was the Presiding Prelate. In 1999, with the help of The Lord, he founded a revolutionary cross denominational movement of ministries, now known as Promised Land Ministries. On May 26, 2002, the Church of the Promised Land had its first Sunday Morning Worship Celebration. 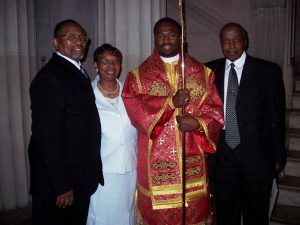 Pastor Logan was installed as Pastor of the Church of the Promised Land in November of 2002 by the World Assemblies of Restoration. The Church of the Promised Land endured trials and tribulations but with due diligence, and the Lord’s empowerment, The Lord blessed the works of the hands of his devoted servant, the Church of the Promised Land became the Churches of the Promised Land, where His Beatitude is the Founder and Chief Protector, having established, and or affiliated churches, and Para-church ministries in Washington DC, Maryland, Virginia, South Carolina, Texas, California, New York, Philadelphia, Missouri, North Carolina, Alabama, Georgia, and Florida. His ministry without walls is headquartered in Metropolitan Washington DC, The International Cathedral of the Holy Apostles – “The CHURCH Without Walls”, PLM-HCOC. On October 4, 2014, His Beatitude ††Joshua Paul was joined in Holy Matrimony to Lady Vonda Yvette Logan becoming her king, priest, protector, provider, lover, confidante, and friend. His Beatitude Metropolitan Archbishop ††Joshua Paul is a true example of what God can do through a broken and yielded vessel. Follow the journey as he continues to lead the people of God to their Promised Land, where their destinies and purposes are being revealed, cultivated, manifested and maximized. God is raising up an army, “The Game Changers – THE CHURCH UNIVERSAL: Ancient in Faith, Resurgent and Revolutionary in Actions, with A Radically Shifted Paradigm! We WILL FIGHT, and WE WILL WIN, in the Name of JESUS, our Lord and reigning King! 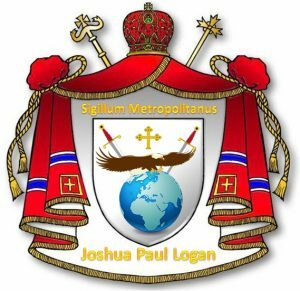 His Beatitude Archbishop ††Joshua Paul Logan is an anointed radicalized trailblazer, a revolutionary force of ecclesiastic and social change, an Ambassador of our Lord and King’s One Universal Kingdom, The Church Universal. He is Metropolitan of the 3rd Provincial Metropolis of the autocephalous Holy Communion Of Churches “HCOC”, and Coadjutor to the Patriarch Archbishop, ††Timothy Paul of the HCOC, he was consecrated with unbroken lines of Apostolic Succession (by the HCOC) traceable directly to the historical ancient faith church founded by Jesus Christ and His Holy Apostles, he possesses a provocative apostolic mantle on his life, and is a humbled man of vision, and with power.